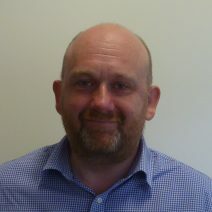 Ed is Director of Planning and Operations for Manchester Health and Care Commissioning (MHCC). MHCC is a partnership of NHS Manchester CCG and Manchester City Council and commissions health, adult social care and public health services for the City of Manchester. Ed has worked for the NHS for 20 years with the last two working jointly with the Council. Ed’s career started in finance but has focussed on strategy in recent years. Ed’s passion is to improve the health of the population of Manchester and has particular interest in how issues such as employment, education and housing can help improve people’s health and wellbeing. Working as a non-executive for WCHG is a perfect opportunity to understand and support the connections between housing and the health of the population.